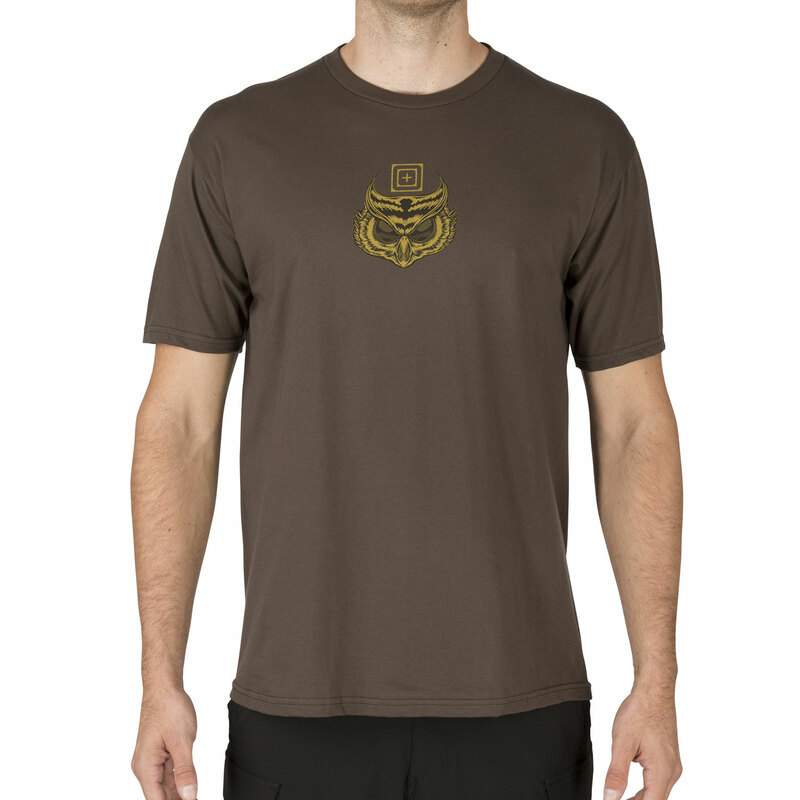 Engineered for superior mobility and performance, the Owl Tee gives you the comfort and confidence to handle any situation. Durable 4.5 oz. ringspun cotton construction delivers superior breathability and moisture control. A generous fit with tapered neck and shoulder line enhancements ensure that your movement remains entirely unhindered. Premium graphics and enhanced colorfast characteristics keep your new tee bright and colorful, wash after wash.